Mobile services will be provided to all the uncovered villages of Arunachal Pradesh during this financial year 2017-18. this was stated in press release issued by BSNL. Under the Comprehensive Telecom Development Plan (CTDP) around 1893 mobile Base Tran-receiver Stations (BTSs) are expected to cover all the uncovered villages. It was decided in a review meeting held by Union MoS for Communications Manoj Sinha and Union MoS for Home Affairs Kiren Rijiju with BSNL, NE-II Circle here on Saturday. According to the press release the highways will also get covered under the CTDP project. In order to strengthen the telecom network of inter-district connectivity and to promote Digital India Vision, 1510 km of Optical Fibre Cable (OFC) will be laid in 2017-18, for which work has recently started . MPLS (Multi Protocol Label Switching) has also recently been made operational at Itanagar with two 10 Gbps connectivity. It will provide stable telecom backbone and leased line circuits for expediting the e-governance projects of state and central governments, the release said. In order to provide stable backbone network and also high speed data network for 3G and broadband services, the BSNL has recently commissioned 40 Gbps transmission media on PGCIL network at Itanagar. This 40Gbps link will acts as an Alternate Protection Path in case of any BSNL OFC link failures due to various reasons, it said. Further, a very high speed 120 Gbps DWDM (Dense Wavelength Division Multiplexing) equipment has been recently made operational in Itanagar. It will provide high speed data network for the 3G, Broadband and upcoming 4G / WiFi hotspot network in Arunachal Pradesh. In total, 80 2G BTSs and 80 3G BTS were commissioned for improving the quality of mobile services during 2016-17. 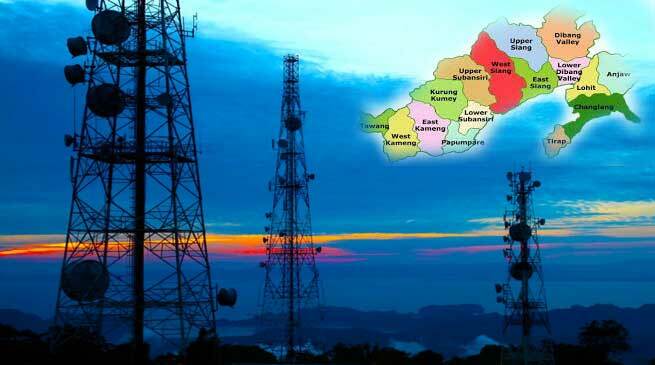 Under GSM Phase VII+ project, BSNL is commissioning 30 2G and equal numbers of 3G BTSs in Arunachal Pradesh. With this there will be an addition of around two lakh line capacity to the existing mobile network, the release said. The Next Generation Network (NGN) equipment are planned at Itanagar, Naharlagun and Nirjuli in 2017-18 for augmenting and improving the landline and broadband services in the capital city of Arunachal Pradesh. The release further informed that the state owned telecom giant BSNL has launched unlimited calls in BSNL network under Combo STV-339 for 90 days from March 16, 2017 on PAN Indian basis. The customers will also get unlimited data with fair use policy of 2GB/day with validity of 28 days.